APC has a total of 185 students this year – 130 in Bendum and 55 in Nabawang. Aside from the Pulangiyen students, we have children coming from the Adjawanen and Maasamnen communities in Agusan del Sur. We welcome back Marzon Limbago at the school this year. Marzon grew up in Bendum and used to teach Grade 4-6 Livelihood in SY 2011-12. He now teaches Grade 2 Math and Grade 6 Computer and looks after the school records. We also welcome 14 Grade 4 students from Nabawang in the dorm this year. 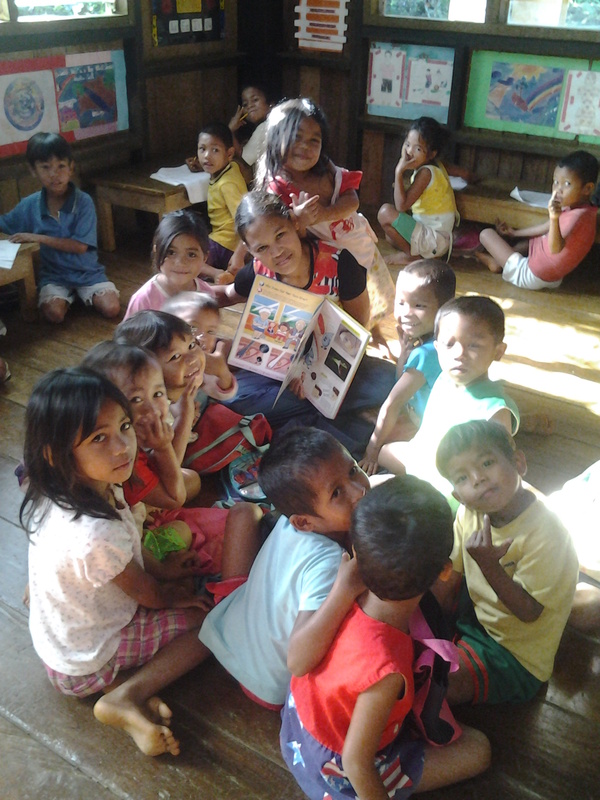 These students come from APC’s extension school in Nabawang, which only offers up to Grade 3. Our dormers now number 34. Since August, the dorm has been serving camote for lunch. Camote has more nutrients than rice and is more available locally. It is also a traditional crop and food source for the Pulangiyen people.